What difference would restricting warming to 1.5C make? A key finding of the new IPCC report is the dramatic difference that restricting warming to 1.5C above pre industrial levels would have on the global environment. • By 2100, global sea level rise would be 10cm lower with global warming of 1.5C compared with 2C. • Arctic sea ice would remain during most summers if warming is kept to 1.5C. But at 2C, ice free summers are 10 times more likely, leading to greater habitat losses for polar bears, whales, seals and sea birds. "It's a line in the sand and what it says to our species is that this is the moment and we must act now," said Debra Roberts, a co-chair of the working group on impacts. "This is the largest clarion bell from the science community and I hope it mobilises people and dents the mood of complacency." Policymakers commissioned the report at the Paris climate talks in 2016, but since then the gap between science and politics has widened. Donald Trump has promised to withdraw the US – the world's biggest source of historical emissions – from the accord. The first round of Brazil's presidential election on Sunday put Jair Bolsonaro into a strong position to carry out his threat to do the same and also open the Amazon rainforest to agribusiness. Scientists who reviewed the 6,000 works referenced in the report, said the change caused by just half a degree came as a revelation. "We can see there is a difference and it's substantial," Roberts said. "We have presented governments with pretty hard choices. 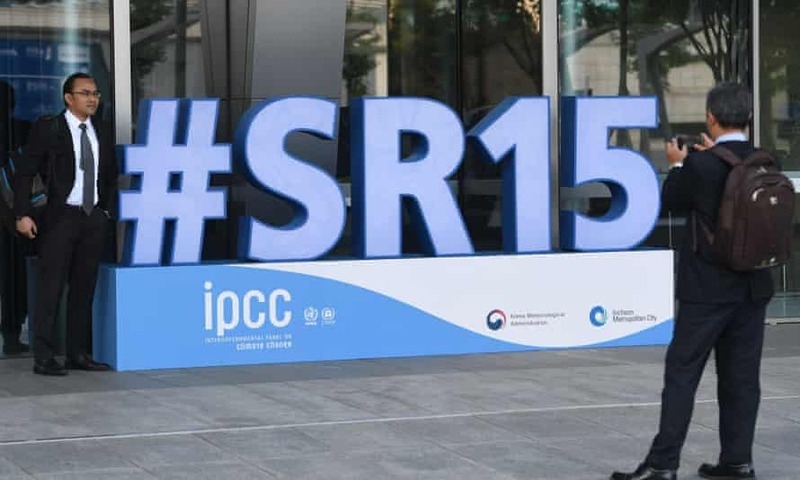 We have pointed out the enormous benefits of keeping to 1.5C, and also the unprecedented shift in energy systems and transport that would be needed to achieve that," said Jim Skea, a co-chair of the working group on mitigation. "We show it can be done within laws of physics and chemistry. Then the final tick box is political will. We cannot answer that. Only our audience can – and that is the governments that receive it." Bob Ward, of the Grantham Research Institute on Climate Change, said the final document was "incredibly conservative" because it did not mention the likely rise in climate-driven refugees or the danger of tipping points that could push the world on to an irreversible path of extreme warming. "I hope this can change the world," said Jiang Kejun of China's semi-governmental Energy Research Institute, who is one of the authors. "Two years ago, even I didn't believe 1.5C was possible but when I look at the options I have confidence it can be done. I want to use this report to do something big in China." The timing was good, he said, because the Chinese government was drawing up a long-term plan for 2050 and there was more awareness among the population about the problem of rising temperatures. "People in Beijing have never experienced so many hot days as this summer. It's made them talk more about climate change." Regardless of the US and Brazil, he said, China, Europe and major cities could push ahead. "We can set an example and show what can be done. This is more about technology than politics." James Hansen, the former Nasa scientist who helped raised the alarm about climate change, said both 1.5C and 2C would take humanity into uncharted and dangerous territory because they were both well above the Holocene-era range in which human civilisation developed. 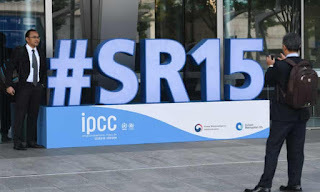 But he said there was a huge difference between the two: "1.5C gives young people and the next generation a fighting chance of getting back to the Holocene or close to it. That is probably necessary if we want to keep shorelines where they are and preserve our coastal cities." "Climate change is occurring earlier and more rapidly than expected. Even at the current level of 1C warming, it is painful," he told the Guardian. "This report is really important. It has a scientific robustness that shows 1.5C is not just a political concession. There is a growing recognition that 2C is dangerous." … we have a small favour to ask. More people are reading the Guardian than ever but advertising revenues across the media are falling fast. And unlike many news organisations, we haven't put up a paywall – we want to keep our journalism as open as we can. So you can see why we need to ask for your help. The Guardian is editorially independent, meaning we set our own agenda. Our journalism is free from commercial bias and not influenced by billionaire owners, politicians or shareholders. No one edits our Editor. No one steers our opinion. This is important because it enables us to give a voice to the voiceless, challenge the powerful and hold them to account. It's what makes us different to so many others in the media, at a time when factual, honest reporting is critical. Genealogy - my own story.